Blur has just been confirmed to be the top headliners in this year's Coachella festival 2013. The massive music festival will be held in California, United States in the last weekend of April - from 12-14th April and 19-21st April 2013. Other top lineups include Phoenix, Red Hot Chilli Peppers, Yeah Yeah Yeahs and Lou Reed. Beach House, Modest Mouse and Grinderman will also be playing, as well as Nick Cave and Vampire Weekend. The announcement came after months of speculation and rumours about whether Blur will be the headlining act - and the news has just been officially confirmed. 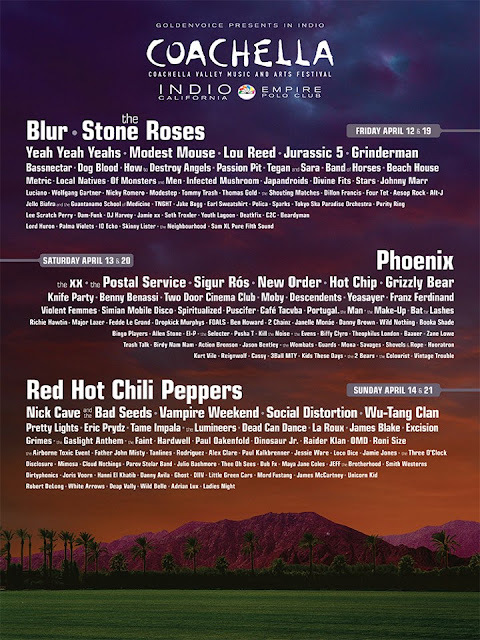 Damon Albarn and the other members of Blur previously played Coachella in 2003, 2009 and 2010. 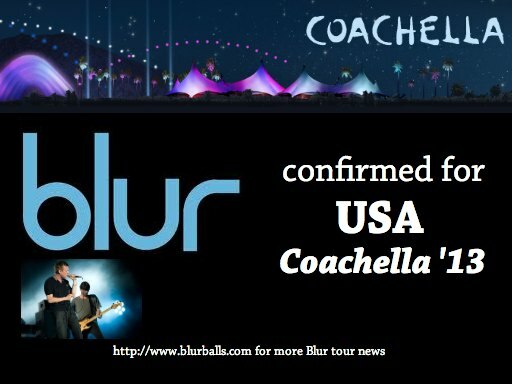 It seems that Blur is indeed doing a world tour in 2013 because they have confirmed festivals as far as Japan, Germany, Berlin and Norway for this year. Now that America has also been announced, the big question remains - what will come out of this world tour ? A new album perhaps ? Visit Coachella's official website for more details about who's playing and when HERE.